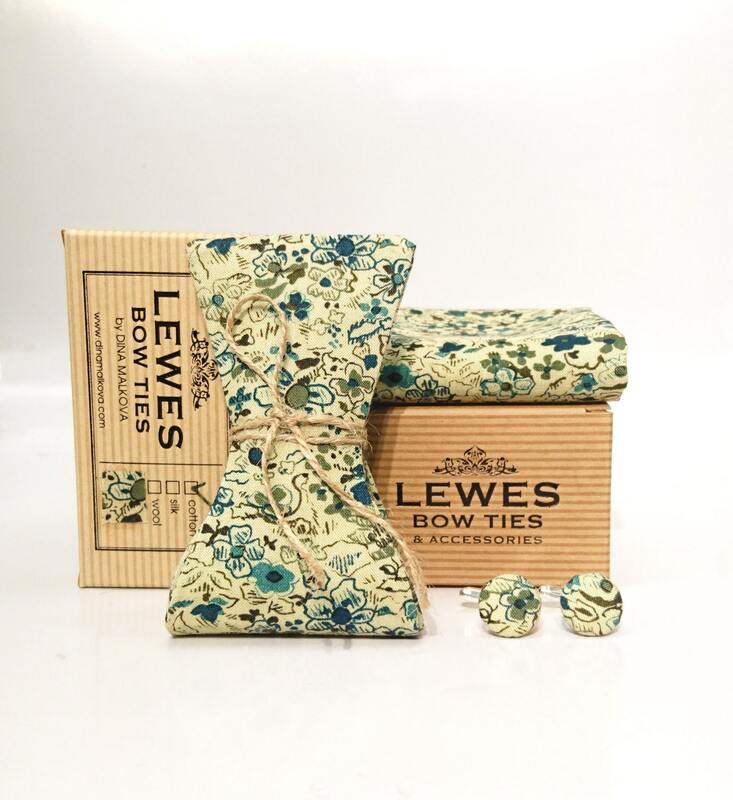 Bow tie, pocket square and matching cuff links set is made from vintage ivory and green floral cotton fabric. 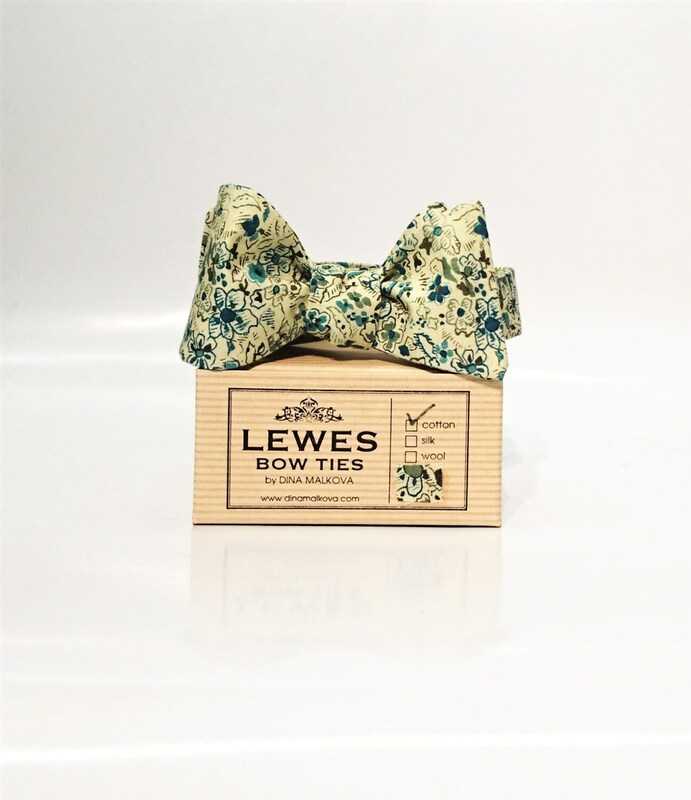 Self-tied bow tie, adjustable to fit neck sizes 15-18''. 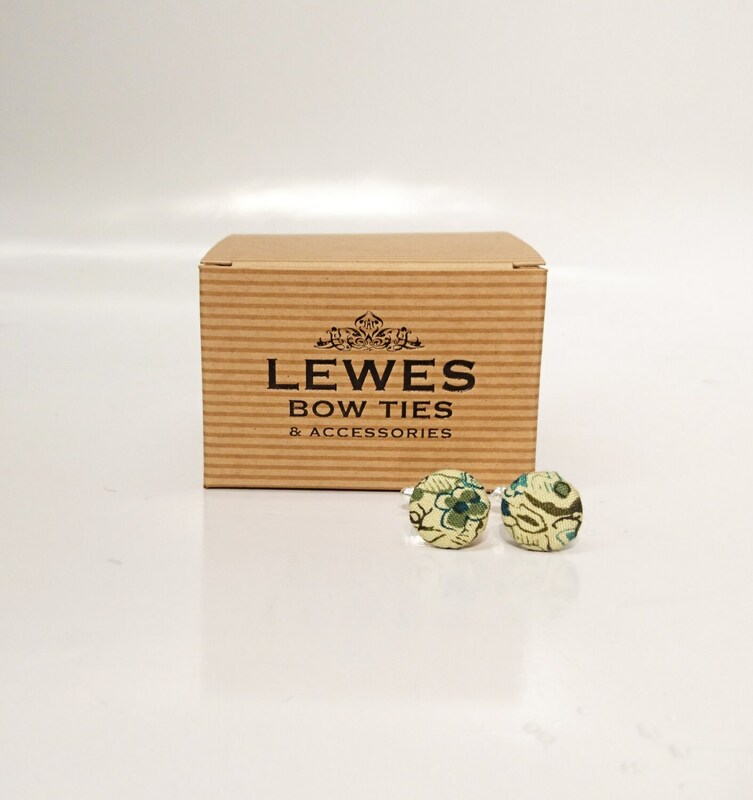 15 mm diameter of cuff links. 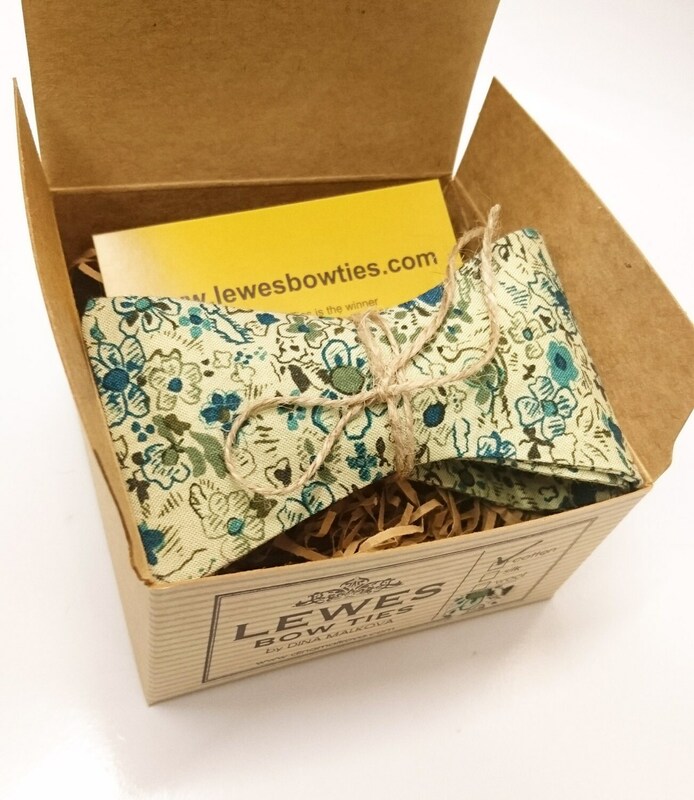 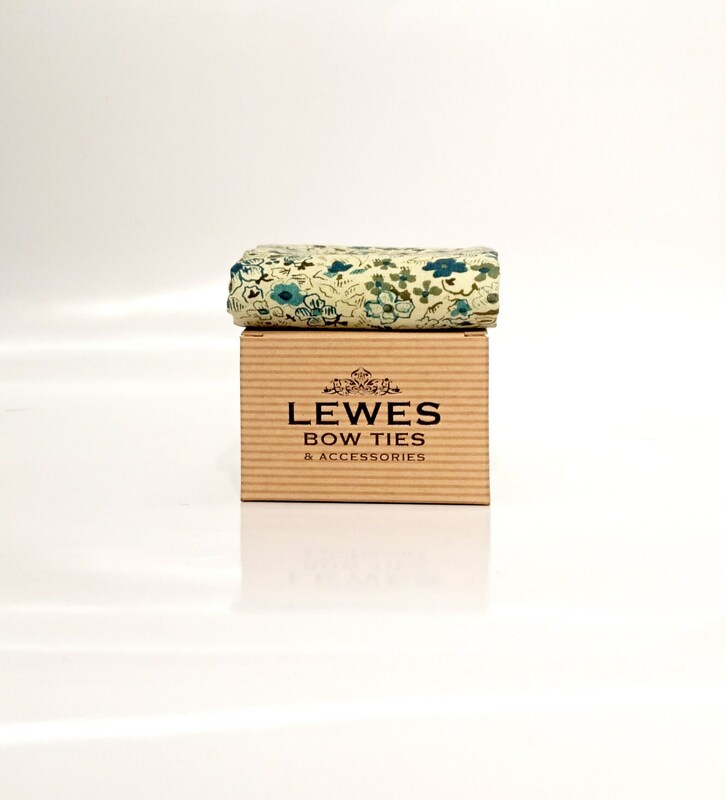 Bow tie, pocket square and matching cuff links will arrive in brand boxes made of recycled paper.